Wow! This store is huge. So .. up against the back wall were aisles of hobby and craft products. 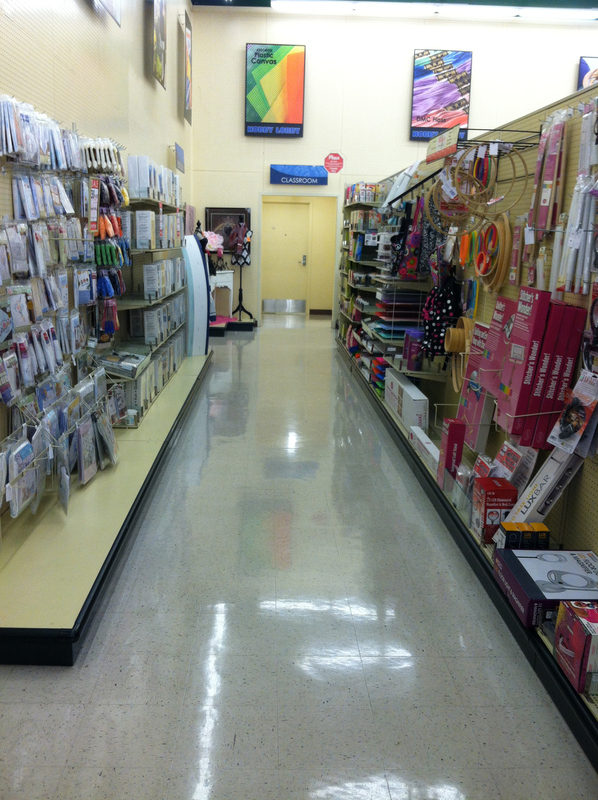 There were no signs at the top or at the end of the aisles, so I had to walk up and down looking for the cross stitch aisle. There was one other small area of kits, but that was about it … disappointed, but happy to have another place for supplies. 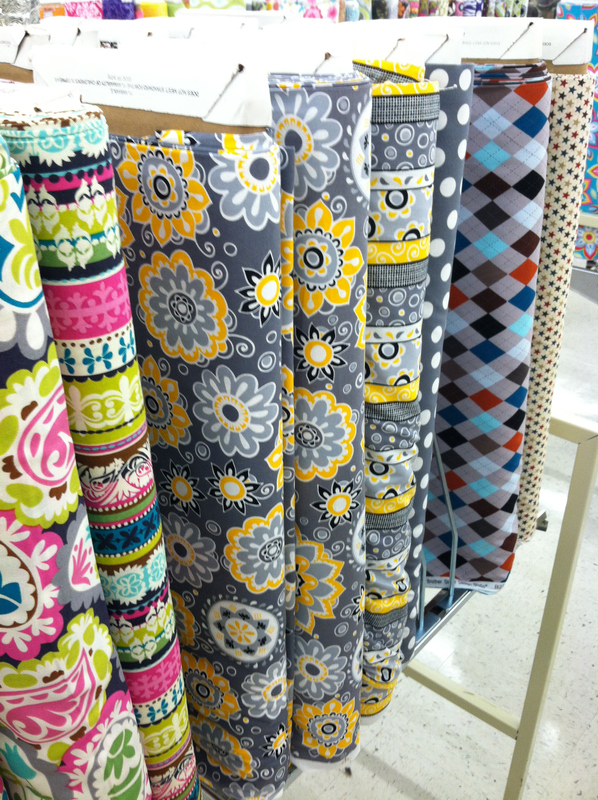 I then happened upon the fabric! I have to go back and spend more time checking out their selection. 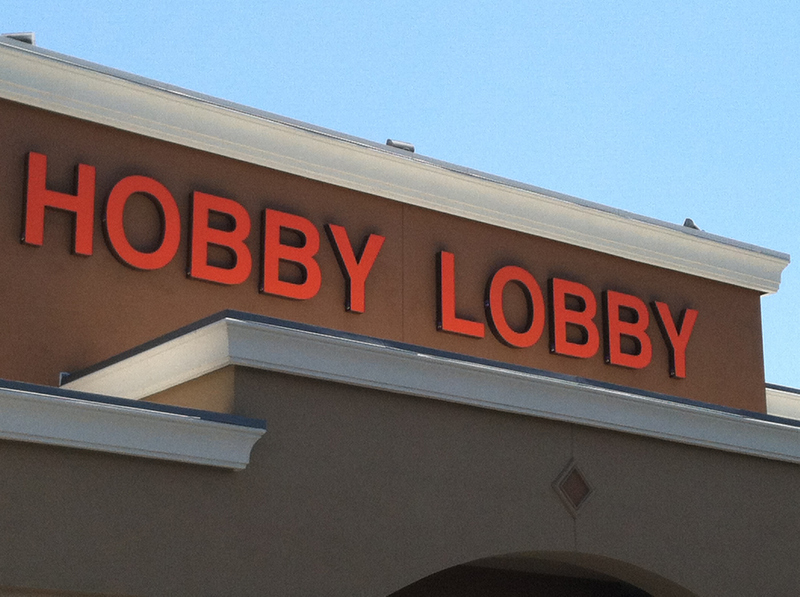 I searched the Hobby Lobby locations and found that I have 2 within 25 miles. I also have 4 Joann’s and 4 Michaels within 25 miles. So .. I’m pretty lucky to have supplies close by! Where do you buy your supplies? I wish I had a small craft shop to shop at and support, but I don’t know of one.. will have to do a little searching and see if I’m missing one. 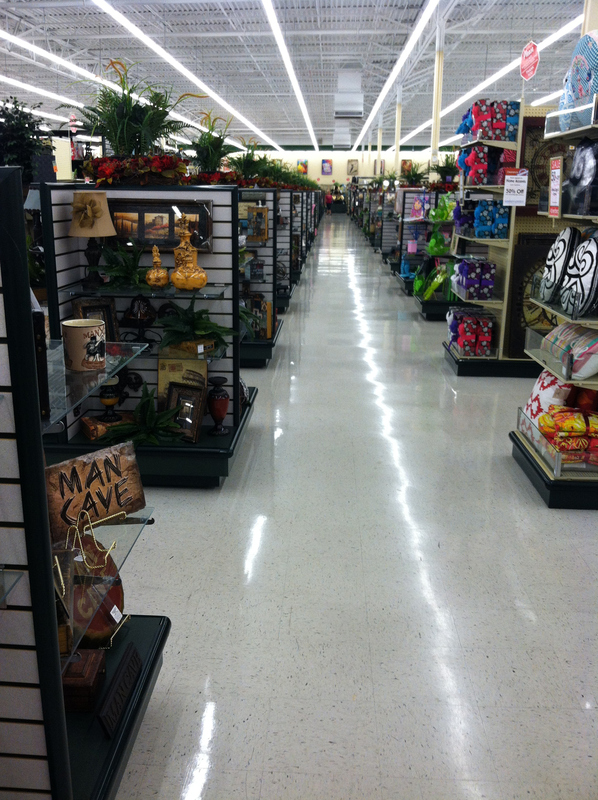 I guess I was just wondering if all Hobby Lobby’s look the same inside with all of that home stuff?? I just never pictured it that way. 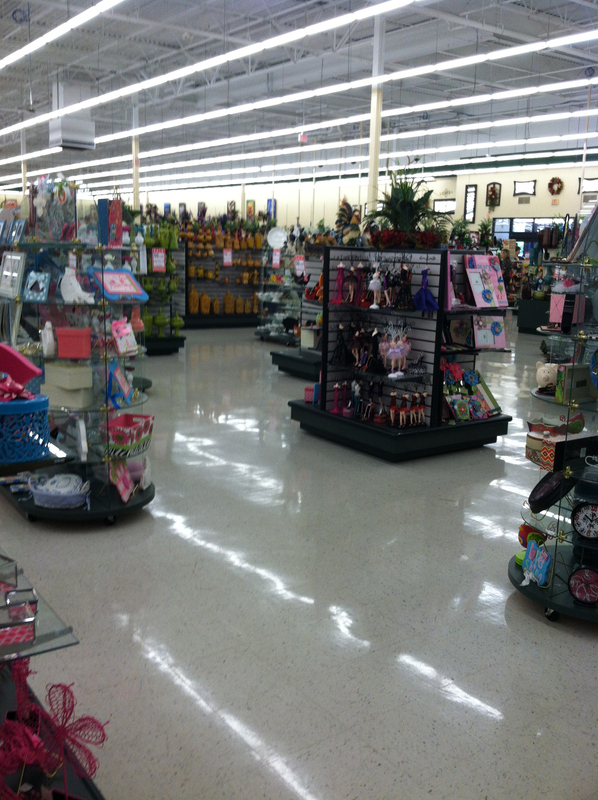 I prefer Hobby Lobby over any other box craft store. 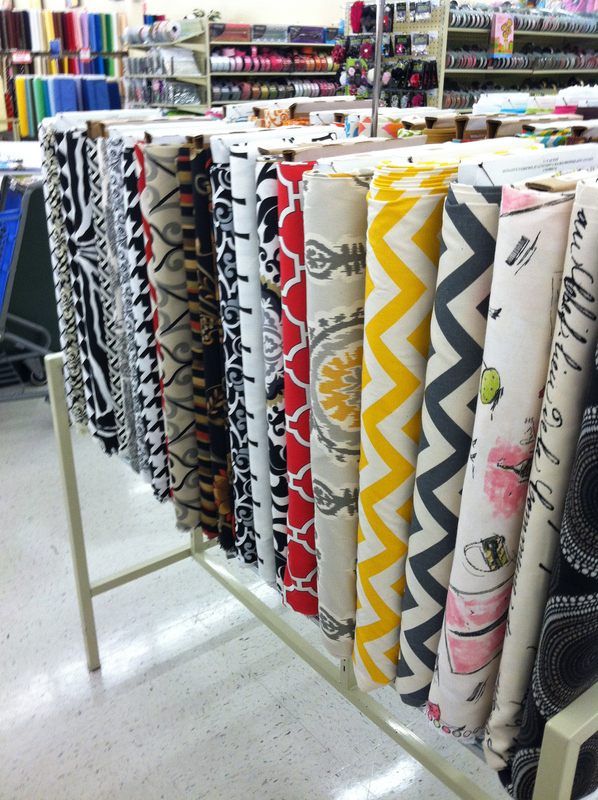 Prices are cheaper and they tend to have a larger selection and broader spectrum of craft supplies. I struggle a bit with the fact they incorporate their Christian values in their stores and upon employees and ultimately their customers, but I suppose that is how they chose to do business. Does it make me a hypocrite? I guess…but, whatever. I was a little bummed out when Michael’s Crafts opened near me and half the store is home decor and there’s almost no needlework supplies at all. Home decor and crafts seem to get lumped into the same category ~ I blame Pinterest. Our Hobby Lobby is similar. Seems like none of the big box craft stores are carrying much in the way of needlework these days. 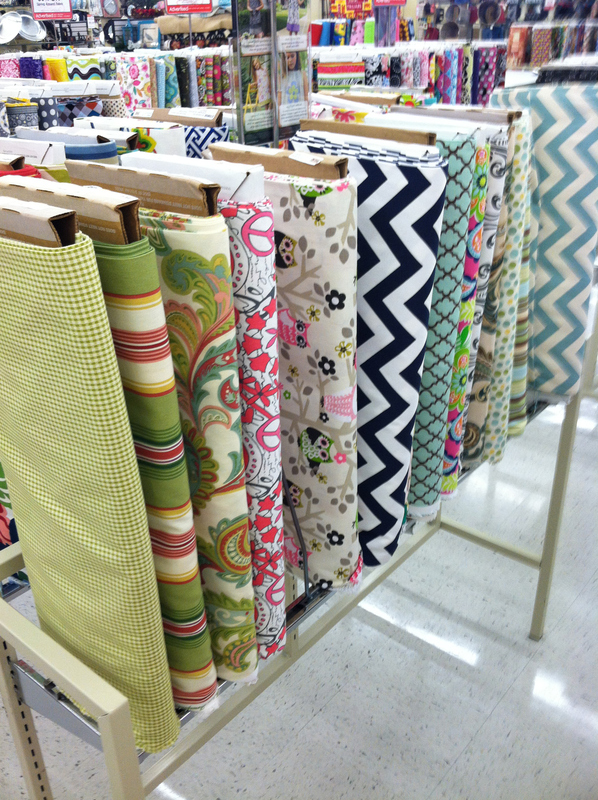 But I do like the home dec. stuff at Hobby Lobby and the fabrics they carry are fairly different from what I can get at JoAnn’s, so it’s good to have more variety. I just hope my LNS (local needlework shop), Golden Thread Needlearts, NEVER closes!!! 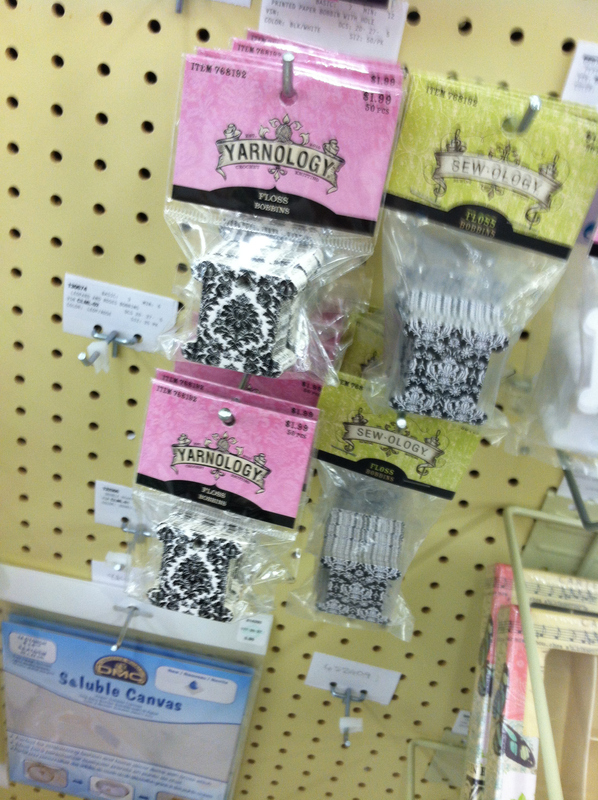 It is very frustrating that needlework areas in the box stores are relegated to a few square feet. I’m not sure what is up with that. I’ve been blog hopping around and I’ve noticed that some of the big sponsored blogs really focus on DIY home improvement and decorating and I think that is part of the problem. The needlework blogs seem to be more intimate and not as heavily sponsored. My point in all of this is that people continue to view needlework as a dying art and if you look at it from a US viewpoint this might be true. When you look at what the UK is doing (i.e. Mr. XStitch, Emily Peacock) you can see that they are truly revolutionizing needlework and making it fun and new again. I’m not sure but it seems to me that the US is behind the curve on this. With all of this said, I don’t really have a good idea about how to promote our art, except to say we need to keep promoting the heck out of it in our blogs, Pinterest, and anywhere else. We also need to not just focus on the beautiful vintage sampler art and BAP that we all love but also the new and the funky. Interestingly enough some of the popular needlework artists in the UK are in the twenties and thirties. I live out in the country and we have a dollar store, grocery store, two pharmacies, and one gas station within a five minute driving distance. Our closest major city is 35 miles away, and within that city we are lucky to have an AC Moore, Michaels, JoAnns, Hobby Lobby, and a LNS – Moore Stitches. I just love my LNS! I spend as much time (and money, lol) there as possible. In talking to the owner, the business counts on internet sales and “traveling show” sales just as much as local sales to remain in business. When I started cross stitching 30 yrs ago, and my family and I traveled, one of the first things we did was search for LNS and craft stores to visit in hopes of finding new supplies. Back then LNS were plentiful and each one had a wide variety of cross stitch supplies to choose from. Sadly, today, the chain stores only carry the basic supplies with little variance. I am a collector of needlework scissors, and Hobby Lobby does carry a little better variety of scissors, usually five styles or so in a few different colors per style. However, I am very thankful to have Moore Stitches close enough to travel to occasionally. If I need to order special items, (or I can order over the internet or by phone) I can pick them up in the shop without any shipping charges (as long as I can wait until her next order goes in). Rarely, I have to order items over the internet and pay the extra shipping charges which just inflates the already high prices of our hobby, but I sincerely couldn’t live without my cross stitch. It enables me the ability to keep my sanity!